"Hunch," author Roy Rowan admits, "is an odious word...a horseplayer's or stock market plunger's term, rife with imprecision and unpredictability." But the most important step to success frequently demands a daring intuitive leap, as some seventy-five chief executives who control the destinies of America's biggest corporations affirm in this entertaining and instructive book. Defined as "knowledge gained without rational thought," intuition nevertheless has a traceable biological base. This book explains how the intuitive mind organizes previous impressions, past encounters, and relationships into a path that is used by many of today's leaders in the daily course of decision making. The surprising revelations of such CEOs as Edgar Bronfman, H. Ross Perot, Mary Kay Ash, Roger Staubach, Donald Rumsfeld, Diane Von Furstenberg, and many others give new credence to the importance of intuition in the executive suite. Divided into five parts that correspond to the intuitive process itself, this book helps identify, use, stimulate, and sometimes also temper business intuition. 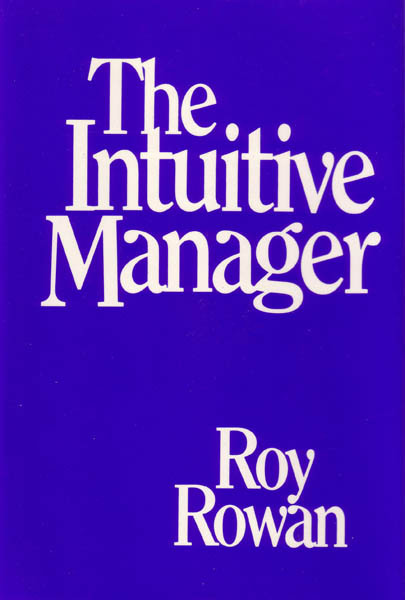 The Intuitive Manager demonstrates how to separate hope from hunch, how to distinguish wishful thinking from intuition. Yet it also makes clear that the amorphous, ill-defined instinct knows as intuition first has to be understood, nurtured, and above all trusted if it is to be turned into a powerful management tool.